Do you feel like your arms are not gaining more muscle? It might be time to modify your arm workout. Try some of these challenging arm exercises to improve your results. 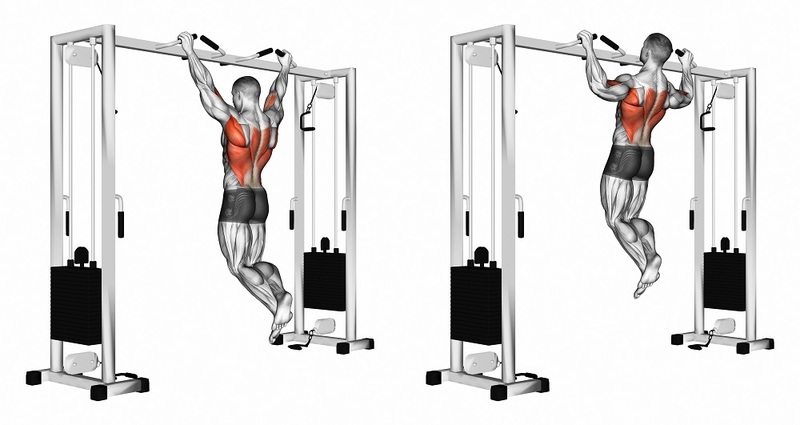 Chin-ups use your bodyweight to create one of the most challenging upper body exercises. The exercise works your latissimus dorsi and biceps. However, during chin-ups your body flexes which creates isometric strength training, working your entire upper body. Grab the pull-up bar with your palms facing toward you. Yours grip should be shoulder width apart. As you breathe out, pull your torso up until your head is around the level of the pull-up bar. Keep the elbows close to the body. Hold for a second. Exhale and slowly lower your torso back to starting position. Repeat for the suggested amount of reps. Modification: A spotter can hold your legs as you perform the chin-up. Advanced lifters can use a weighted belt to make the exercise more challenging. Many of us are already practicing push-ups. Diamond push-ups use a centered hand placement for a different approach. The exercise works your triceps and chest. Get on your hands and knees. Center your hands in a diamond position. Lift your knees into a plank position. Keep your abs engaged. Allow your elbows to bend. Lower your chest toward the floor. Press back up to the full extension. Modification: Rest your knees on a mat throughout the exercise. Lying Tricep Extensions can increase the strength and size of your triceps, as well as improve flexibility in your arms. Be careful not to use too much weight or the exercise can harm your shoulders. Lie on your back while holding two dumb bells overhead. Bend your elbows at a 90 degree angle. Your palms should be facing in. Keep your arms at 90 degrees and lower them behind your head. Use the triceps to raise them back to the starting position. Curls with Bar is great for people with wrist issues. The bar keeps a stationary position when you must use more stabilization with dumbbells. 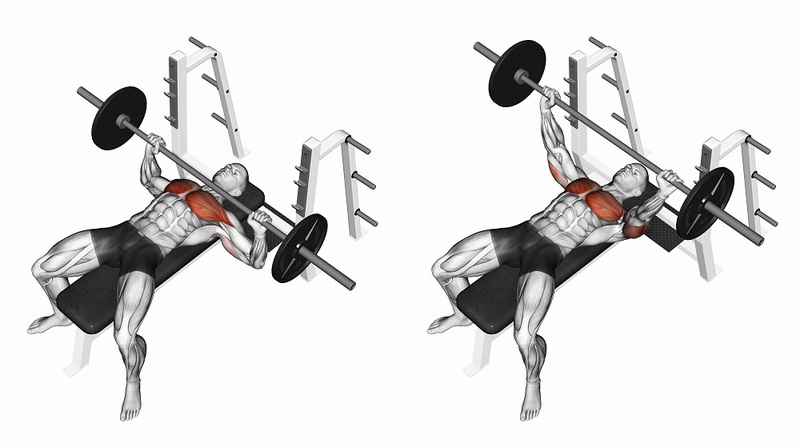 Curls with Bar primarily works your biceps but also activates you core. Stand up with your torso upright. 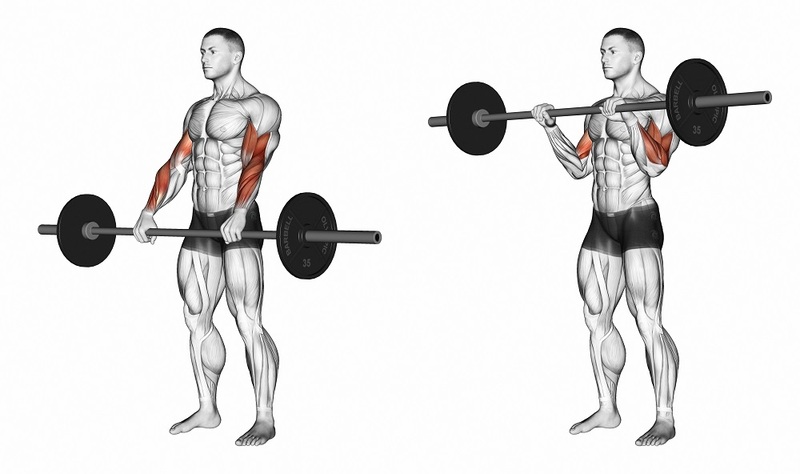 Hold the barbell at shoulder-width grip. The palm of your hands should be facing toward your body. While holding the upper arms stationary, curl the weights forward while contracting the biceps. Continue until the bar is at shoulder level. Only your forearms should move. Slowly bring the bar back to starting position as you breath out. Modification: You can also perform this exercise with dumbbells. The Reverse Curls with Bar uses the same technique as the Curls with Bar. The primary difference is how you hold the bar. The Reverse Curl with Bar requires you to hold the barbell with your palms facing out. Stand up with your torso upright. 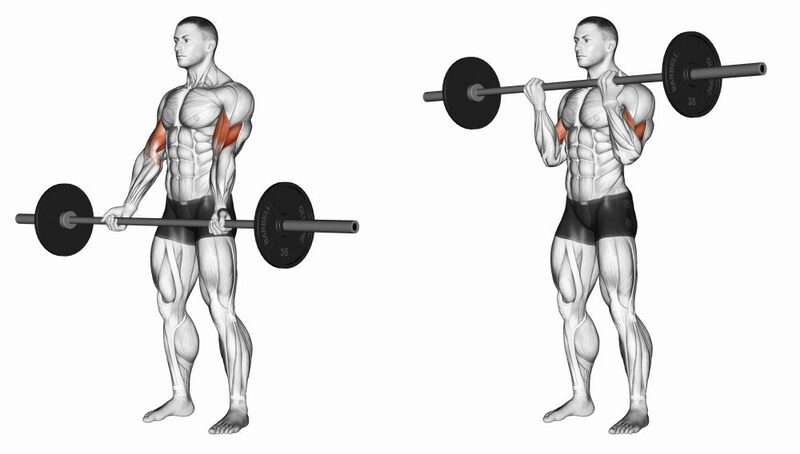 Hold the barbell at shoulder-width grip. The palm of your hands should be facing away from your body. 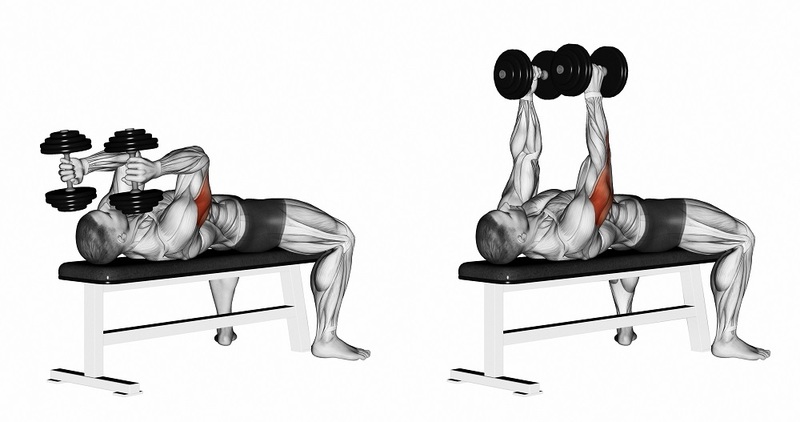 The Bench Press is essential for your upper-body workout. The exercise works the shoulders, back, chest, and arms. Be safe and use a spotter when you bench press. Lie on your back on a flat bench. The bar should be rested above you in the rack. Grasp the bar shoulder width apart. Lift the bar from the rack. Breath in and begin coming down slowly until the bar touches the middle of your chest. After a brief pause, push the bar back to starting position as you breath out. Underhand Kickbacks is an isolation exercise for the tricep muscles. Good technique is vital to this exercise. Keep your upper body and arm stationary to get the best results. Stand with your feet hip width apart. Hold a dumbbell in each hand with your arms beside your body. Your palms should be facing behind you. Bend your knees and press your hips back. Lean forward while keeping a flat back. Your chest should be almost parallel to the floor. Bend your elbows at a 90 degree angle. Your upper arms should be along your side. Breath in while extending your arms behind you. Exhale to return to the 90 degree angle. Modification: You can also do this exercise one arm at a time and with one leg on a bench for extra stabilization. The leg on the bench should on the same side as the arm that is extending. The Standing Dumbbell Fly begins in the same squat position as Underhand Kickbacks. The difference is that you are pulling the dumbbells perpendicular from your body to work your shoulders and upper back. Stand with your feet hip width apart. Hold a dumbbell in each hand with yours palms facing each other. Keep a slight bend in your elbows. Breath in and lift your arms perpendicular to you body. Exhale and lower your arms back to starting position. Tip: Do not lift your hands higher than your shoulders because it can lead to injury.